FCVideo have been specialists at filming sporting events and shows since 2005. We currently provide non-league football clubs with video coverage, giving the management teams a valuable coaching tool, and through posting match highlights online, enhance the relationship with the supporters. We also video school & theatre/dance groups productions, producing a lasting memory of these events, and a potential fund raiser. 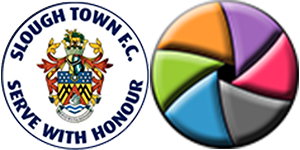 Shortly after moving into their new home ground at Arbour Park, Slough Town FC asked us to help them enhance their fans’ experience with video highlights and post match manager interviews. We filmed all the home games in their 2017/18 promotion winning season, and now cover their National League South games, with our footage also being used to show highlights on the league’s official website. Additionally, we have provided animated GIFS to the club to use on the new scoreboard, as well as on Social Media when the Rebels score.